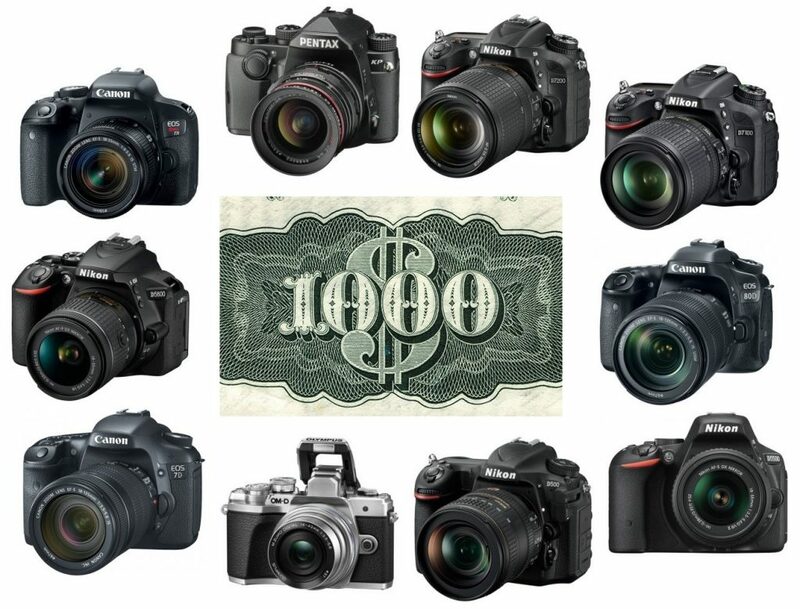 The best DSLR camera under $1,000 is giving us quite a broad range to find a mixture of a solution both high-end and relatively ‘affordable’ (at least in the digital camera world). Although continuing to find some heavy competition vs. mirrorless cameras, DSLR are still one of the finest choices you can make it when it comes to not only leisure and hobbyist photography, but a career as well. Regardless of your intended use today, we wanted to compile a few of our favorite DSLR cameras for budgets of $1,000 or less. Let’s get into the details and what to look for when finding the ‘best’ for you in particular. So you’re ready to get going on some high-quality and serious photography or video shooting? How about upgrading from your phone or older digital camera to make your photos really stand out from the rest? The best DSLR camera for beginners will depend on a few factors and before we dive into it, wanted to validate that you’ve made the right choice in grabbing a DSLR — they’re not going away any time soon. Even though we’ve seen the rise of mirrorless cameras, DSLRs are still the norm and best choice out there, especially for those just starting out their photo journey. DSLR cameras are one of the most popular digital camera solutions for not only photographers who are serious about their work but those who want premium-quality video clips as well. We’ve been doing a lot of work when it comes to these types of cameras, however today enter a new and advanced category: the best full-frame DSLR cameras. A full-frame DSLR camera is for those who are serious about their images and videos — semi-pro and professional the like. Since there are so many out there to check out, we wanted to research the top 10 best and help you out when it comes to finding the camera for you. Which DSLR video camera is the best? Which one should I buy for filming high quality videos? These are some questions we’ve been seeing as we continue our video camera research. When it comes to shooting videos, the norm of needing a solid DSLR camera has become pretty solidified. We used to see a large number of “camcorders” and other easily recognized models dominate the market back in the early 2000’s, but those aren’t really even being made anymore! You could always go the professional-grade route, but sometimes those aren’t as sleek, budget-friendly or merely what people want. 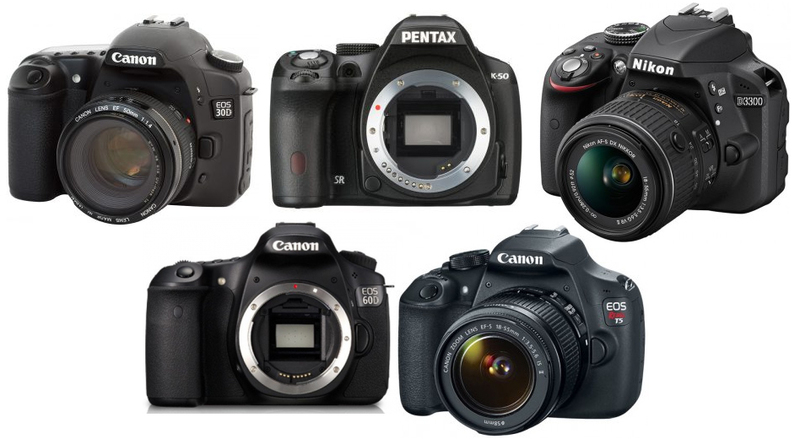 DSLR cameras are extremely popular for a reason, so let’s take a look at which models made the cut for video filming. The widespread and ever-growing popularity of DSLR cameras continues to become evident as time goes on. Nowadays, when people ask for “what’s the best camera or video camera?”, you’ll most likely find the answer “a DSLR camera, of course!” come up more often than not. One particular downfall is their rather high price-points as compared to some other camera solutions. However, if you sift through the rubble and numerous popular models out there, you’ll find some great quality DSLR cameras for under $500 to help keep our budgets intact. We found a few for you to look at today.